In most Asian cultures, chimes and bells are considered to keep evil spirits away. Since ancient times, wind chimes and wind-bells have adorned shrines, pagodas and temples. The gentle sound of a wind chime is said to stir up positive energy and loosen up dense energy buried under clutter. Wind chimes have become popular with Feng shui followers as harbingers of better luck. While a big wind chime is ideal for the porch or garden, you must opt for a smaller wind chime indoors. Ensure that the sound from the wind chime is pleasing to you. Be it a bamboo wind chime or glass wind chime, you can pick them up in an amazing range of designs and styles. Soft tones can have a tremendous calming effect on our bodies, releasing stress and calming the mind. Little wonder that wind chimes are used to enhance a feeling of wellbeing. The gentle sound of the wind chime can stir up chi in a corner. 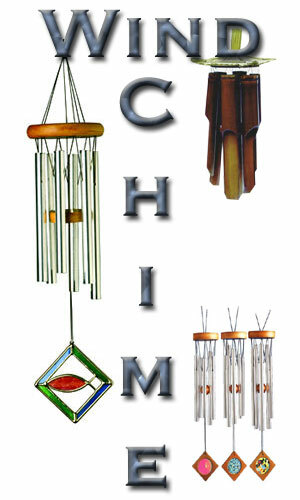 Tubular wind chimes are popularly used to activate and attract chi. Sound waves created by a wind chime can help in slowing down chi that enters through a long passageway. The positive energy is then prevented from dispersing too quickly. What better way to relax in your outdoors than to the soft melody of the wind chime playing in the breeze. According to feng shui, wind chimes with 6 or 8 rods are used to enhance good luck. On the other hand, wind chimes with 5 rods are considered to cure bad chi. As per Feng shui guidelines, a wind chime must not be placed above your sitting, sleeping, eating or working place. Bamboo wind chimes are always popular since bamboo is considered to herald good fortune and successful relationships. Glass wind chimes are placed in the north to enhance career prospects. You can pick up exquisitely painted glass wind chimes – a blend of a riot of colors and tinkling sounds. Glass wind chimes are also made in a range of styles – boats and birds to fishes and frogs. Glass wind chimes are placed in the southwest or northeast directions. One of the ways to attract wealth is to place a wind chime near the entrance to the house. The left furthest corner of the living room from the main door is the wealth corner. You can place a wind chime there. But never hang a wind chime directly above the place you sleep, eat or work. Metal chimes have a more penetrating tone. They are considered harbingers of good luck and fortune. On the other hand, bamboo wood chimes are chosen to add to the wood element in a location. 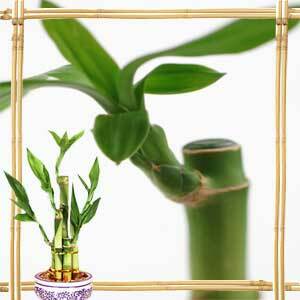 Bamboo wind chimes are usually placed in the south or southeastern corners of the house to activate luck. Metal wind chimes are usually placed in the west, north and northeast. Typically, metal wind chimes are placed inside the house whereas large bamboo wind chimes find place outside the home to calm down the energies. Metal wind chimes made of steel or aluminum produce a sharper tone whereas you can get more mellow sounds from a copper or brass wind chime. First Published Date: 30 Mar 2006 Last modified Date: April 23 2019 This page may have been updated recently as new information is available or the content may have been edited for better readability.